We have customers that are third generation families. Not getting caught up in "hot trends" and doing what is right for the customer is how we are able to do this. You should have an agent that is more than just an 800 number or one that pushes a product because of profit. 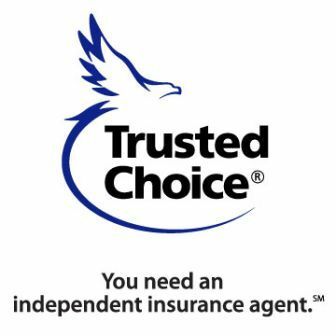 If we can't provide a quality insurance product that is of value, we will not sell it. We don't have to and our customers appreciate that. 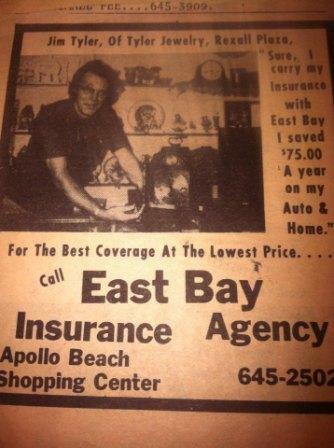 East Bay Insurance was founded in Apollo Beach Florida in 1972. It has been owned and operated by the same family since that time. The agency is in the third generation of family and so are our customers! 1975: Jim Tyler owner of Tyler jewelers. We currently insure 3 generations of the Tyler family. We are so thankful for our customers. 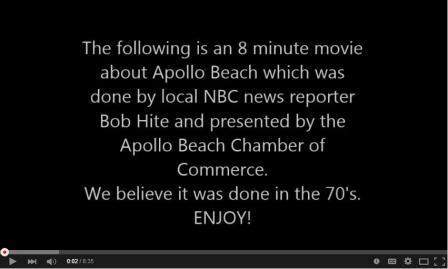 Bob Hite was local reporter and a long time customer. This is a great video from the 80s. Bob loved the area and the natural resources. This web site provides only a simplified description of coverage and is not a statement of contract. For complete details of coverage, limits and losses not covered, be sure to read the policy, including all endorsements or prospectus, if applicable. Coverage CANNOT be bound, amended or altered by leaving a message on, or relying upon, information in this website or through e-mail. For more information please contact info@ebinsure.com. 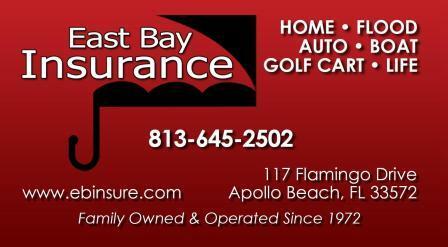 Copyright © 2012 East Bay Insurance Agency, Inc. All Rights Reserved.